What’s a Dollar a Hundred Years Ago Worth Now? Friday, December 27, 1912: Sold Mollie’s calf today. It wasn’t a very big one and I rather feared my fortune would be pretty small, but after all it weighed one hundred and forty-four lbs. Received a neat sum of $11.56. I am real proud over what my purse that Ruth gave me contains. Over fourteen dollars. 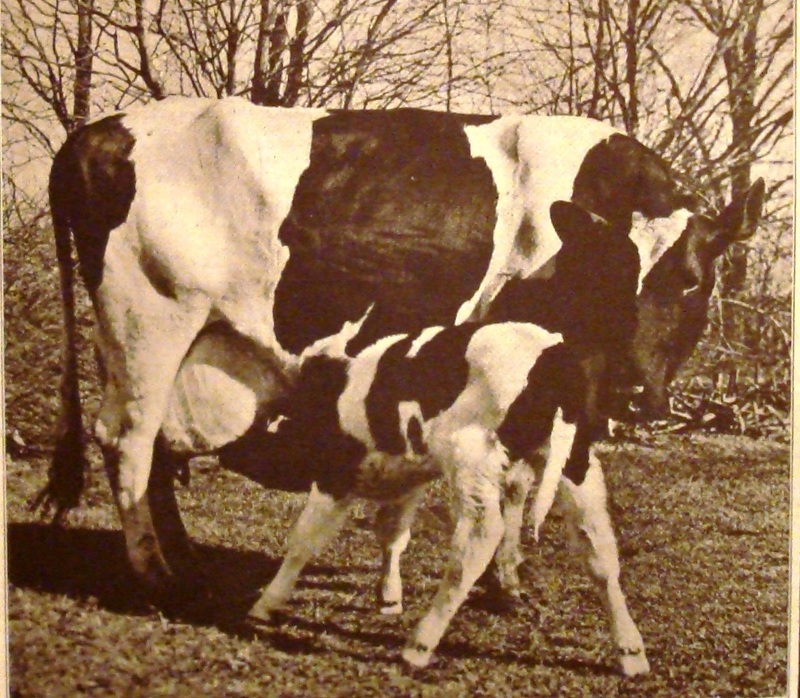 Mollie was Grandma’s cow, and it had a calf on November 15. And, we now know that Grandma’s sister Ruth was the person who gave her the purse. I bet it was stylish—and that it looked great filled with cash. Grandma was in the money. I hope she spent it wisely. According to an online Inflation Calculator website, a dollar a hundred years ago is worth about $23.40 today. So in real dollars Grandma sold the calf for the equivalent of $240 now. And if she had $14 in her purse, she’d have $328 today. Posted on December 27, 2012 August 30, 2015 by SherylPosted in OtherTagged 100 years ago, 1912, family history, genealogy. My son’s girlfriend was raised on a farm. When she graduated from high school, she was given the option of receiving a gift of $2,000 or a cow. She chose the cow since her fortune could then grow. This was in recent times in Virginia. I had never heard of this before and now there’s your post…… Thanks for sharing. It’s wonderful to hear that some families still do this. I think that it taught be a lot of valuable lessons about money management. We do the same thing with our boys; only this year we had to sell most of the yearlings because of the drought. They still got their money. Their jaws dropped to see that she only received $11 dollars. Love you posting. If it hadn’t been for the Federal Reserve Act, the following year, a dollar would be worth roughly the same amount now as it was then. Inflation, back then was based mostly on supply and demand, whereas today, the value of a dollar is based on the activity of the Federal Reserve and how much money they’ve printed. You get a much stabler economy when money is based on gold and silver, rather than the backing of nothing but the faith of the people in their currency. Good for her! It really puts things in perspective when you think of what is bought today with $240, or $328! Thanks, Sheryl! That’s really interesting Sheryl. I wonder if you could by more with $14 in 1912 than with $328 today? Seems I rarely leave Safeway without spending at least $200 and that’s not much. Great that they actually gave their kids the opportunity to be responsible for their own money. Wow. That’s a lot of money for a girl my age to be walking around with…Good for her. No wonder she seemed excited.